Hi Everyone! 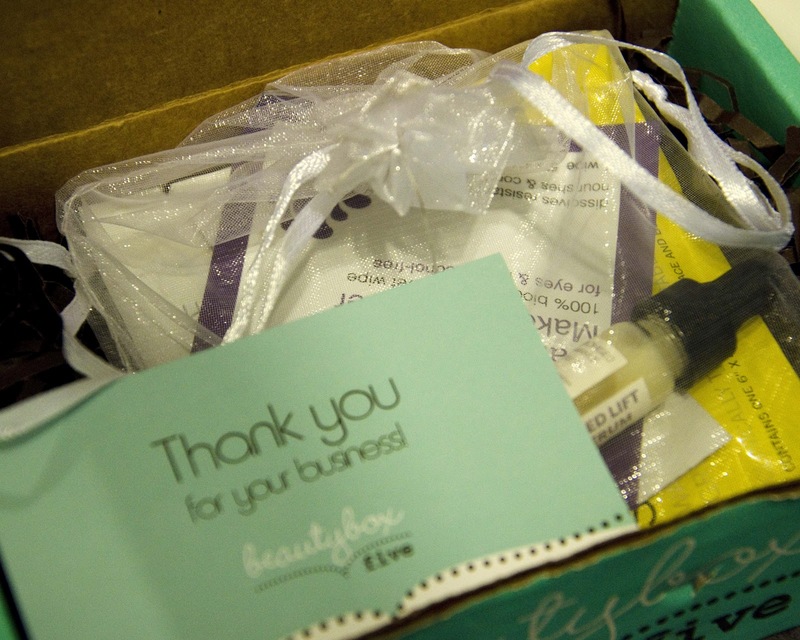 Today I'm doing a review on BeautyBox5's April Box. 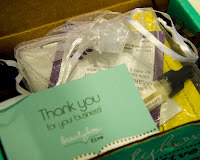 I was really excited to get this box, and once it finally came (I live in Canada and BeautyBox5 is based in the USA so shipping took 2 weeks) I was really disappointed. 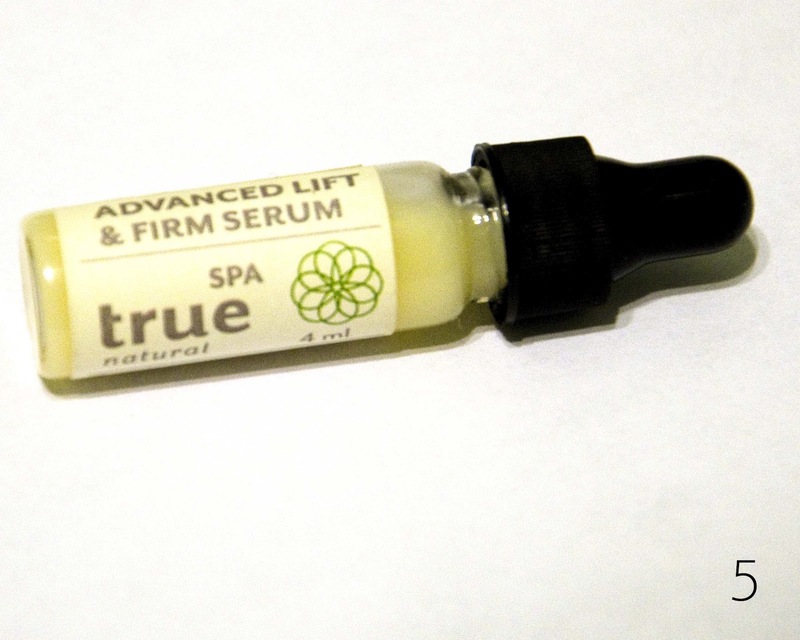 Most beauty boxes supply you with deluxe sample sizes (good for several uses) or full size products. This box contained sample sizes which were only good for one use (#5 as the exception), and most of these you could get for free in your mail! Anyways I should get onto a quick review of the box - sorry that this is going to be a negative review today. 1. Doctor T's Supergoop! 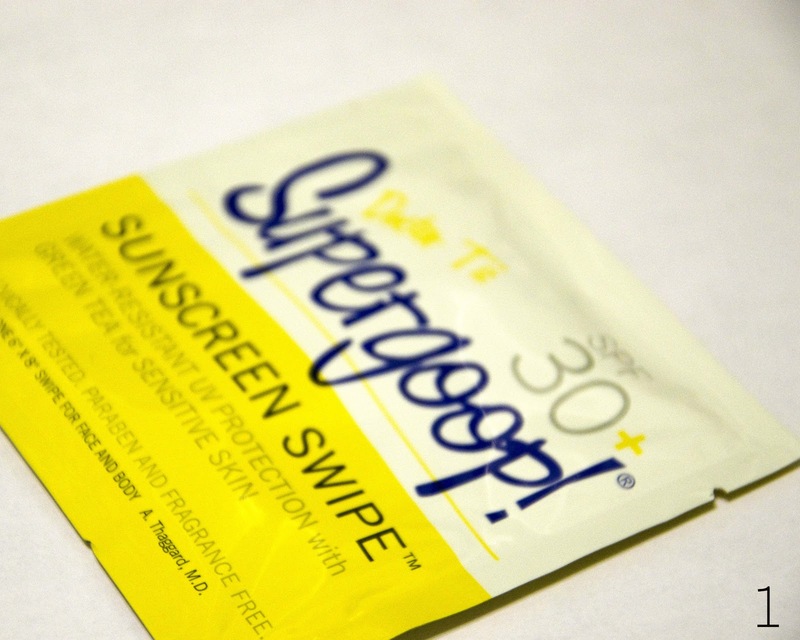 Sunscreen Swipe : Looking at this sample I'm not really sure if I would use it at all, I already have spf in my daily lotion. 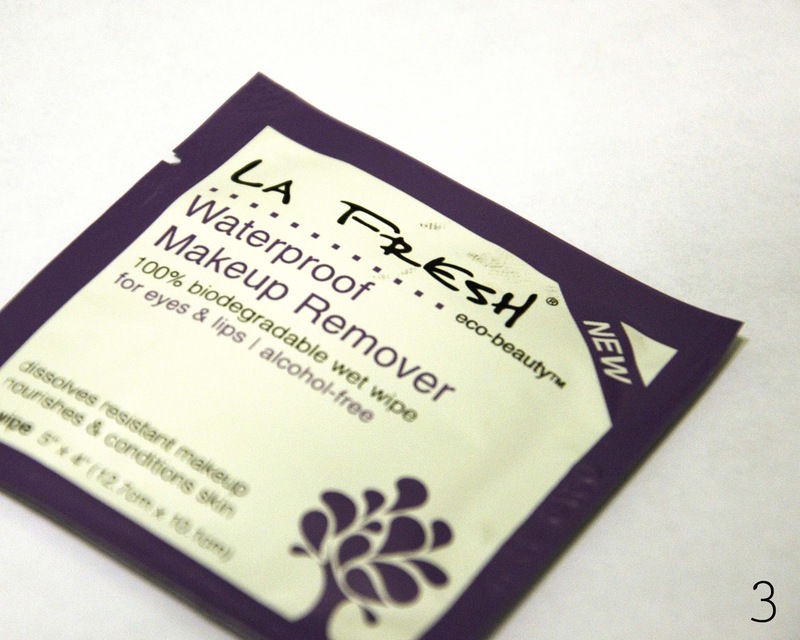 It's an interesting idea but I'm not sure one wipe is enough to really try to product out. 2. Pur-Lisse Essential Daily Moisturizer : I'm really upset with this sample, because A it's very small and you can't get a good idea of a moisturizer from one try and B it's for normal to dry skin. 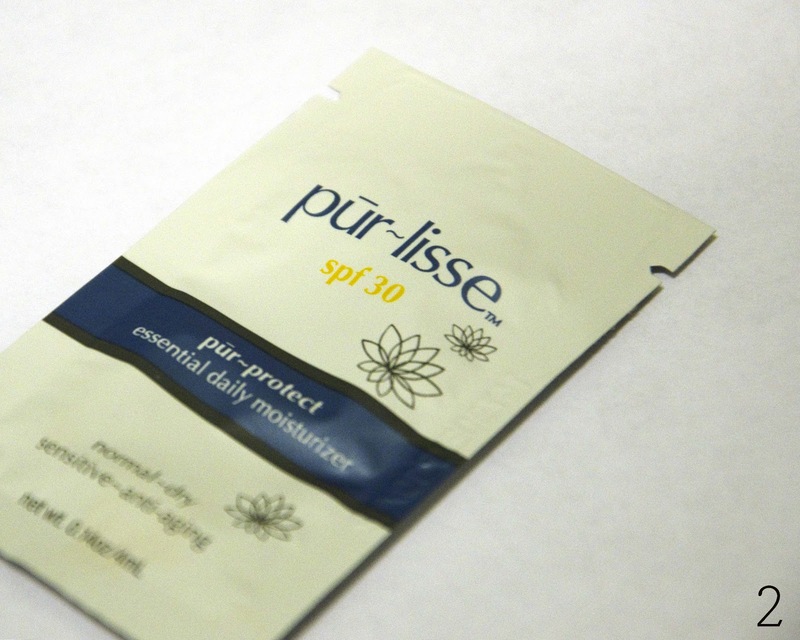 In my beauty profile I said that I have very oily skin, so I can't use this product at all without breaking out or become shinny looking. 3. La Fresh Waterproof Makeup Remover : I usually only use baby wipes to remove my makeup but it would be interesting to see how this works. I do like that the wipe is 100% biodegradable. 4. 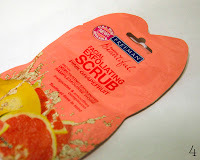 Freeman Facial Exfoliating Scrub in Pink Grapefruit : This is the only somewhat full size product that they've included, however you could only use this once. 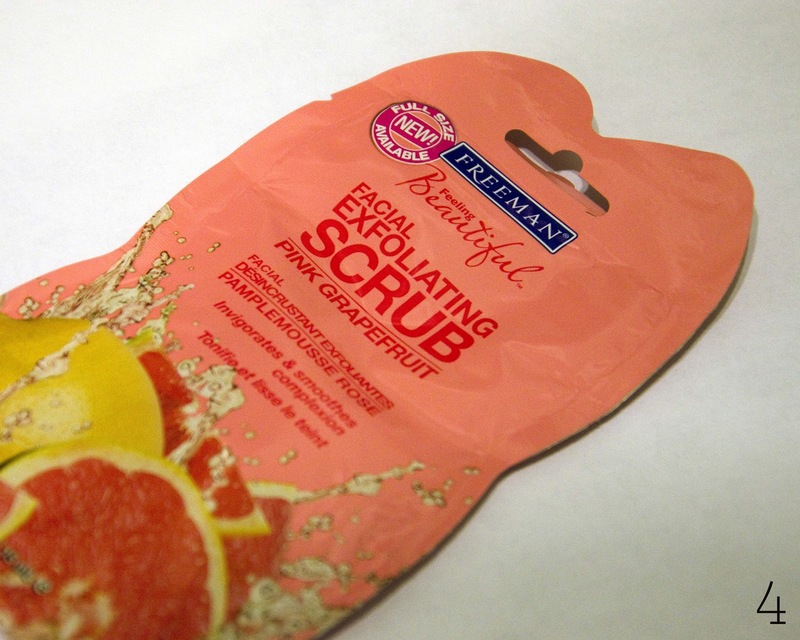 I do like facial scrubs and love anything citrus, so this am an excited to try this. 5. Spa True Advanced Lift and Firm Serum : Now I'm really not sure what this product is at all, because no where on the bottle does it tell me how to use it, and nor does BeautyBox5's website (even though it said that their site had more information on each product). Over all I'm really unhappy with this beauty box. However if you still would like to purchase a box or are interested in BeautyBox5 you can visit their website here. I'm sorry about having such a negative review here for all of you, but I do believe in being completely honest with you guys. And I wouldn't like to give a review on something and mislead you. And on that note I'm going to call it a day, I hope you all have a wonderful day and enjoy the lovely spring weather!